Water resistant, accurate and portable, this handy little pocket meter is a true go anywhere pH tester with replaceable electrode. 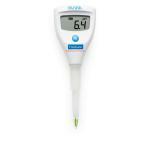 The HI-98127 has a dual LCD screen that displays pH and temperature readings simultaneously. The exposed temperature sensor provides fast response time and the replaceable pH electrode helps to prolong the life of the meter. 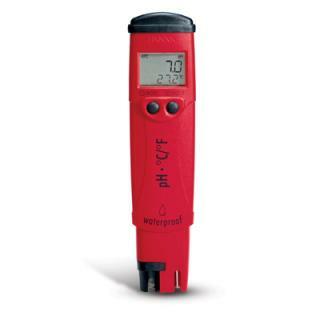 This pocket pH tester is easy to use with a two button operation and offers 0.01 pH resolution and +/- 0.05 pH accuracy.